The Town Hall is the heart of your village and the most important Building in the Clash of Clans game. At eleventh level the Town Hall’s base changes to rough stone. The entrance becomes golden and a gate consisting of three huge spikes supported by a winch system is added above it. The roof becomes white and gains a large, lava filled hole. Two small battlements with red flooring appear on the front of the roof, and a single watchtower remains on the back. The interior of the building appears to be brightly lit, presumably from the lava on the roof. 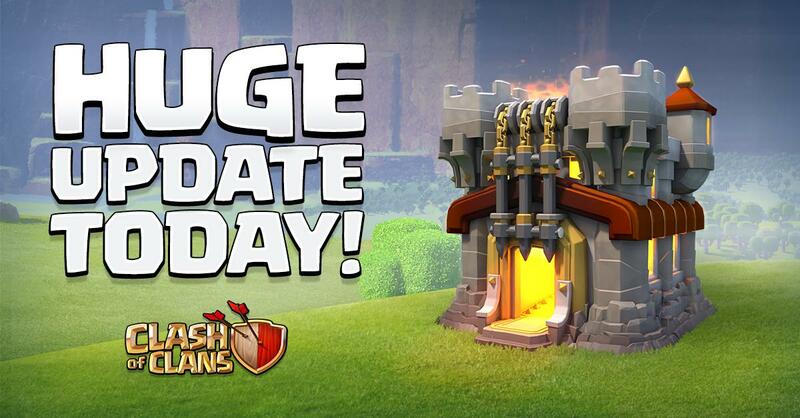 At Eleventh level the Town Hall has 6,800 , the upgrade cost is 7,000,000 and last for 14 days. After finishing of the upgrade You will get the Experience: 1,099 . 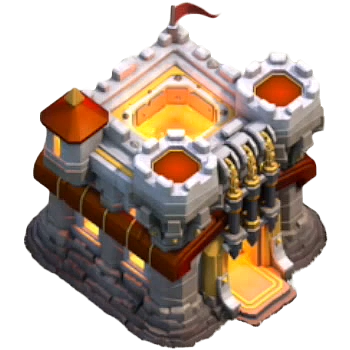 At this Level the Town Hall can store the following maximum amount of Resources: 2,000,000 , 2,000,000 and 20,000 . 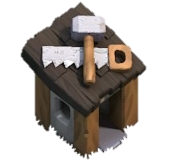 Eleventh level of the Town Hall allows you to build 6 additional Buildings (Total is 119, including the Town Hall itself, Traps and 5 Builder’s Huts). The number of available sections of the Walls is remains the same – 275. The most expensive upgrade for Elixir at this town hall is Grand Warden level 20 for 10,000,000 . The most expensive upgrade for Gold is Eagle Artillery level 2 for 10,000,000 . The most expensive upgrade for Dark Elixir is Witch level 3 for 160,000 .